Is it just "sooo" cute that I had to start preparing it immediately. 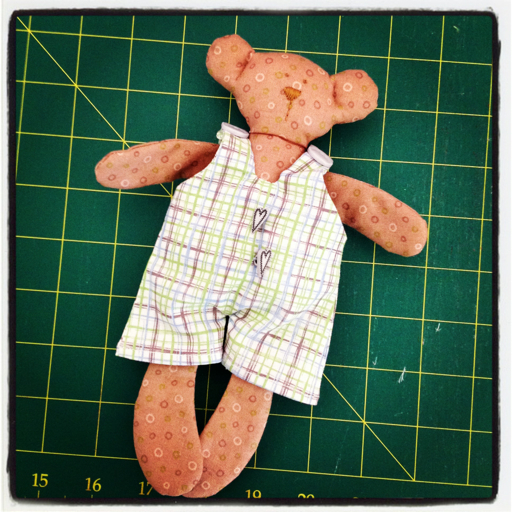 but of course I could not leave it there so went and finished the "Bessie" the big bear. I love the 3D elements to the blocks. What little girl wouldn't love it? Way too cute! 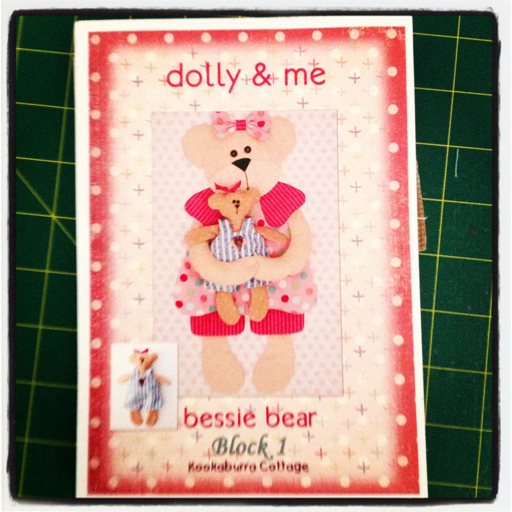 How cute is Bessie bear and her friend! I'm not surprised she loved it and I'm not surprised you couldn't resist buying this BOM it's really lovely :) Barb. Wow thats amazing Sharon, I can't wait to see more. It's so cute, no wonder Lily loves it. She will be very interested in your progress now you've made a start. So very cute!! 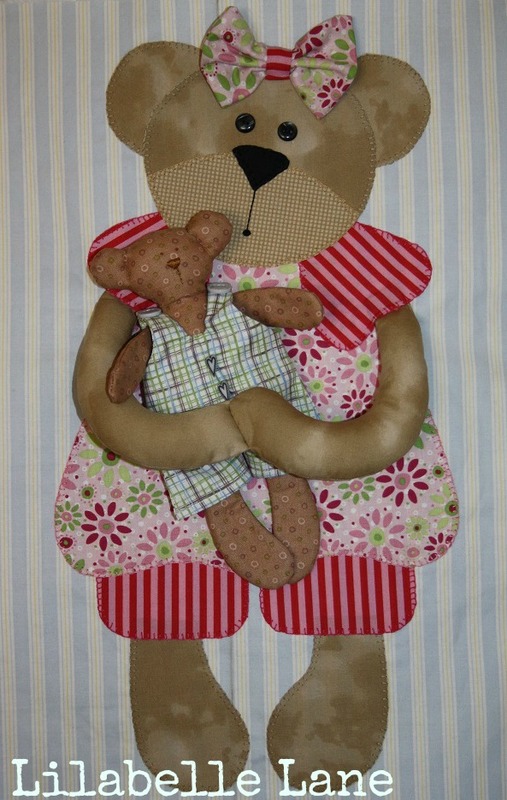 I love the fabrics you've chosen for the bears!! Love them!! I can clearly see why Lily is so taken by them!! Looking forward to seeing this one grow ... might even consider joining you in making this one! It's gorgeous!!! Gorgeous!! your first block is so wonderful. That's one of the cutest blocks I've ever seen. This is so cute. Love the 3D bits too. Soooooooooooooo cute and what a fun, fun idea!! Hope you are getting up to par!! So you couldn't wait, huh? LOL!! And no wonder, it's absolutely gorgeous! Can't wait to join you! Gorgeous quilt! It is going to be a favourite with Miss Lily. Shame my girls weren't a lot younger as it would have been wonderful to have when they were little girls too. That is just so gorgeous.